SOURCE: Tony Karacsonyi, courtesy of Tourism Australia, the tourism promotion authority of the government of Australia, used with permission. The Snowy Mountains, also informally called "The Snowies", are the highest mountain range in Australia. 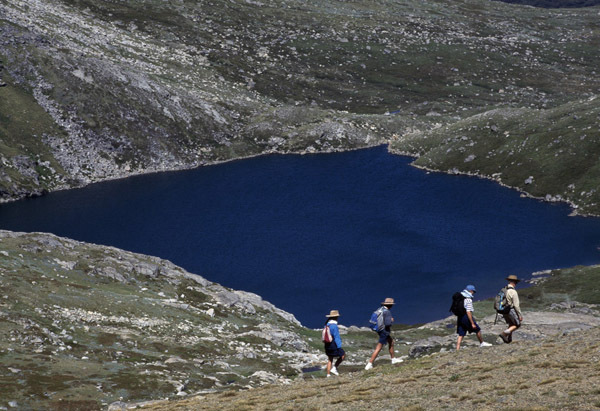 They contain the highest mountain in the Australian mainland, the 2,228 metres high Mount Kosciuszko. Part of the mountains known as Main Range contains the five glacial lakes of mainland Australia.